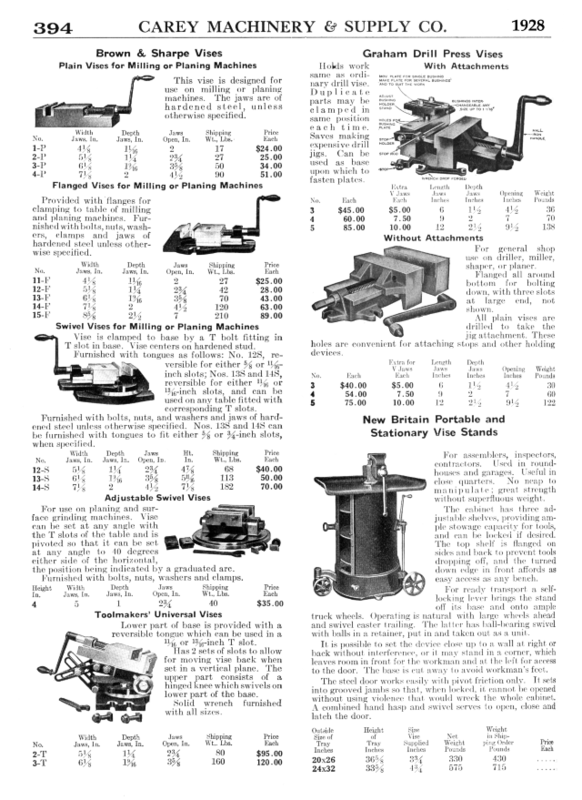 10th Edition, 1930 Catalog. 624 pages! 7 scanned pages, 3 with Vices. 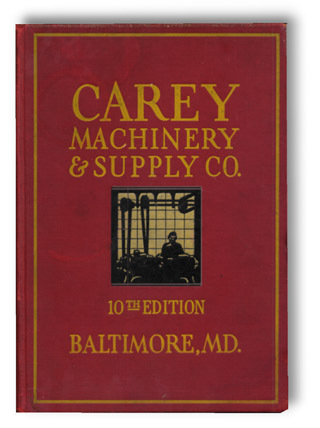 Carey 1930 Pages I, Vises | Carey 1930 Pages II, Anvils and Blacksmiths' Tools. Page 392, Reed, Columbian, Parker Oriole Bench Vises, Blacksmiths Leg Vise. 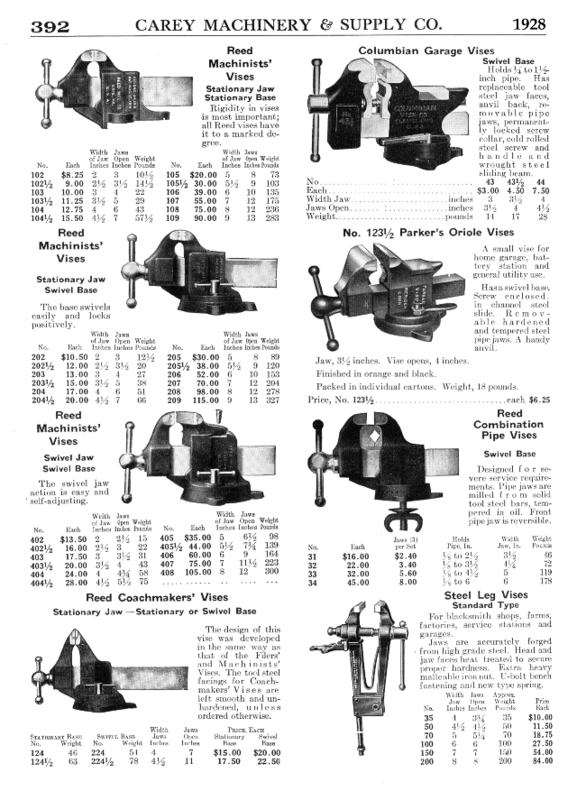 Page 393, Vanderman Pipe Vise, Emmert Universal Woodworking Vise, Skinner Drill Press Vise. 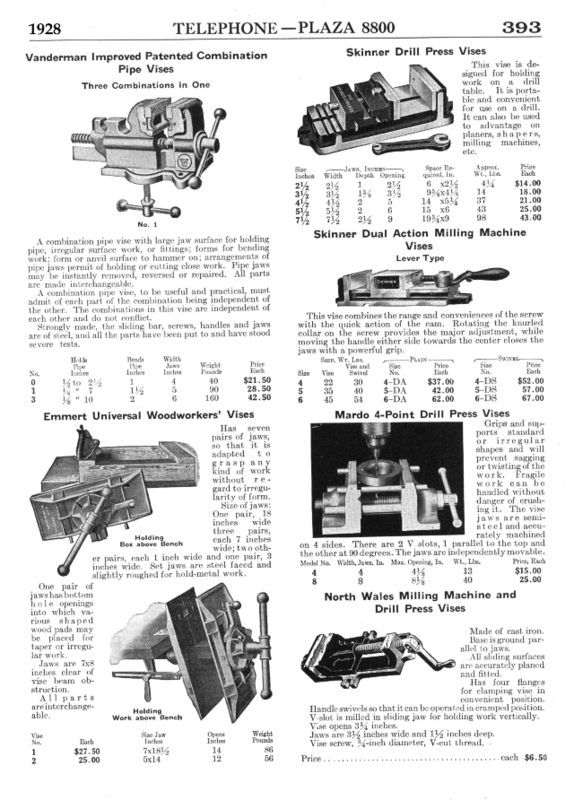 Page 393, Brown and Sharpe Milling and Planning Vise.